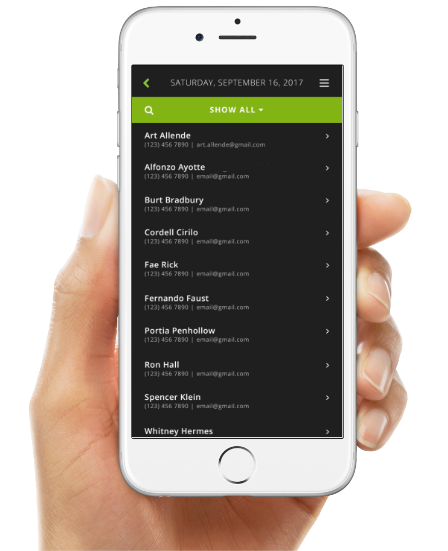 All of your customers' visits, notes, and contact information in one place. 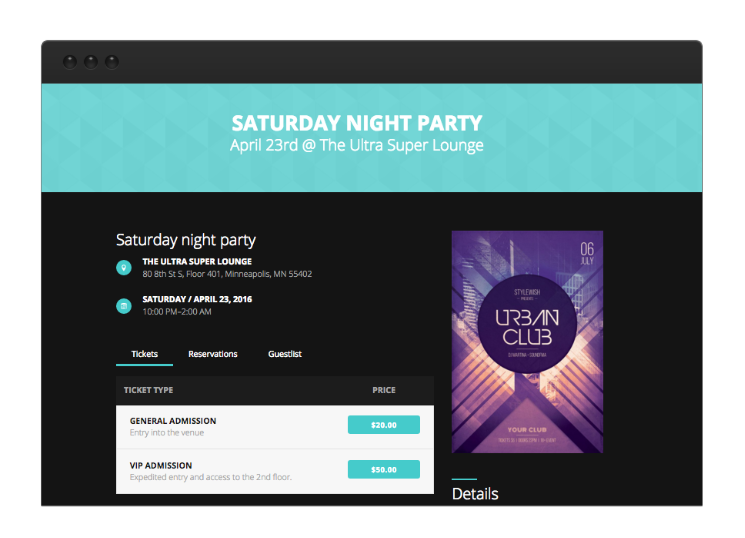 Most nightlife software tracks contact information and reservation history. 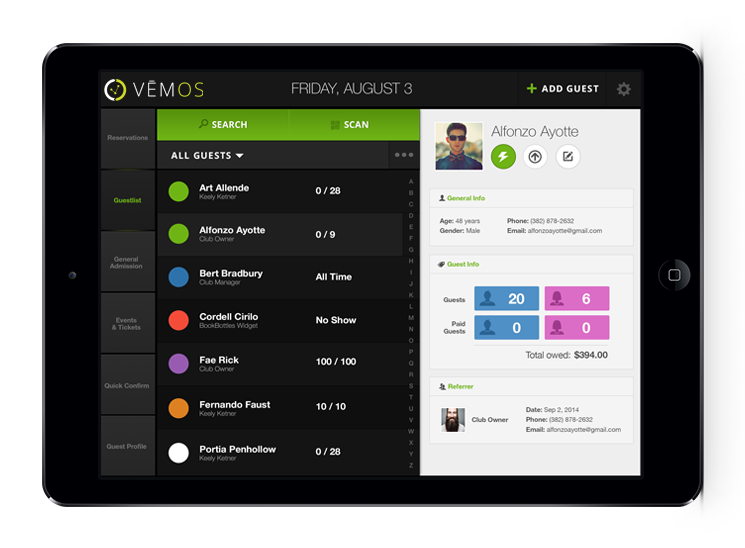 Vēmos tracks everything and shows a complete picture of our guests. We believe in data that tells a story. Data that has a human element. 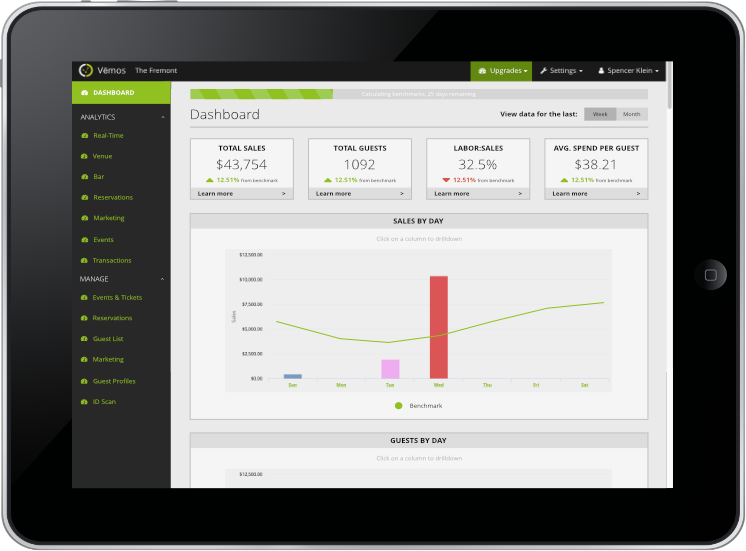 Data you can use to better target your customers. 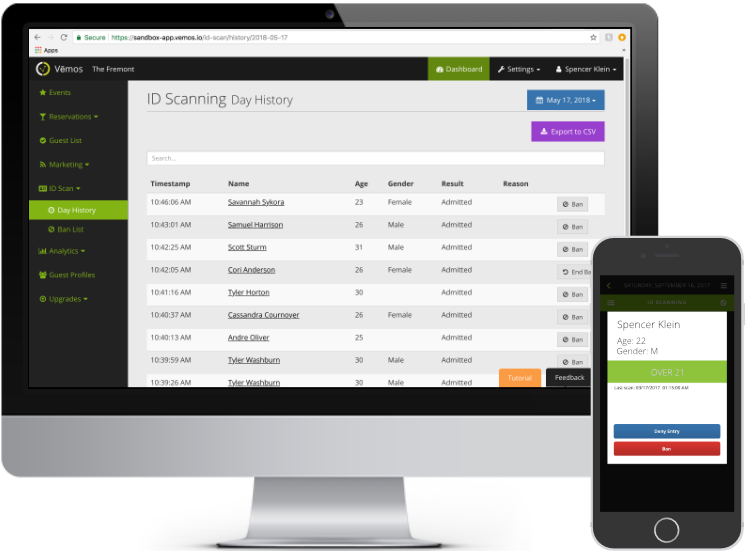 That’s why we’ve built our system so everything syncs back to your guest database / customer relationship management system. 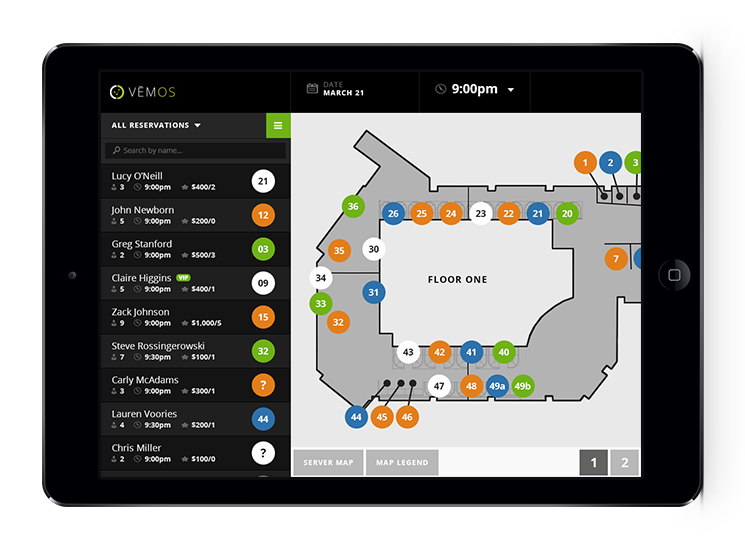 This is what allows you to truly understand who your guests are and use key data points for hyper-targeted marketing campaigns. Uncover how much a guests pays when they come, including door cover, pre-purchased tickets, and reservations. 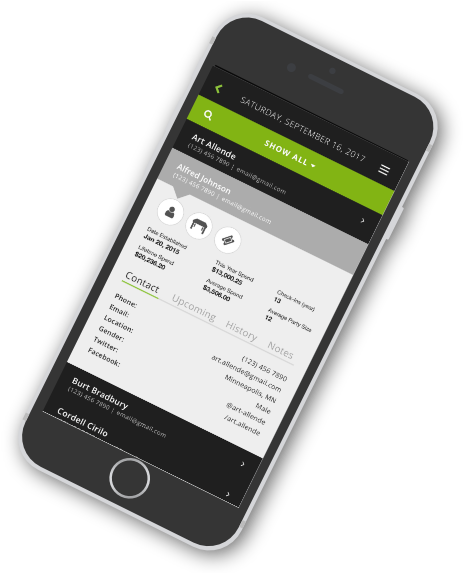 Sign up now to start your free two-week trial, and see how much data you can uncover. 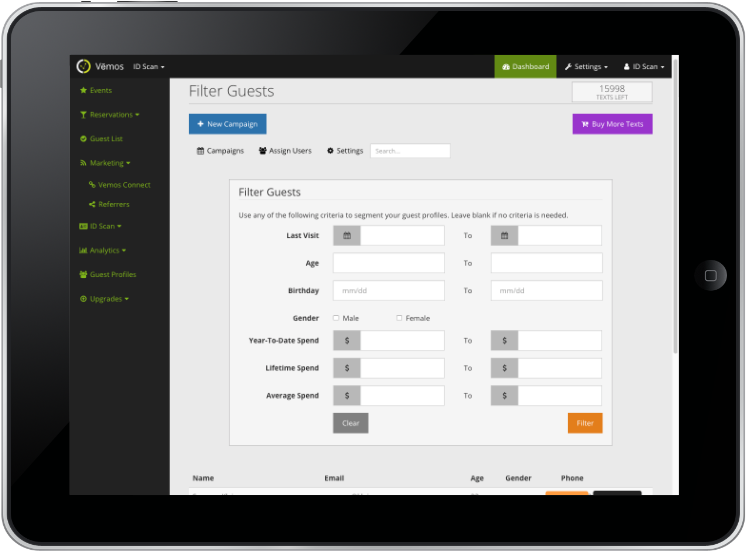 Purpose Build your customer database with individual guest profiles for enhanced personal service. 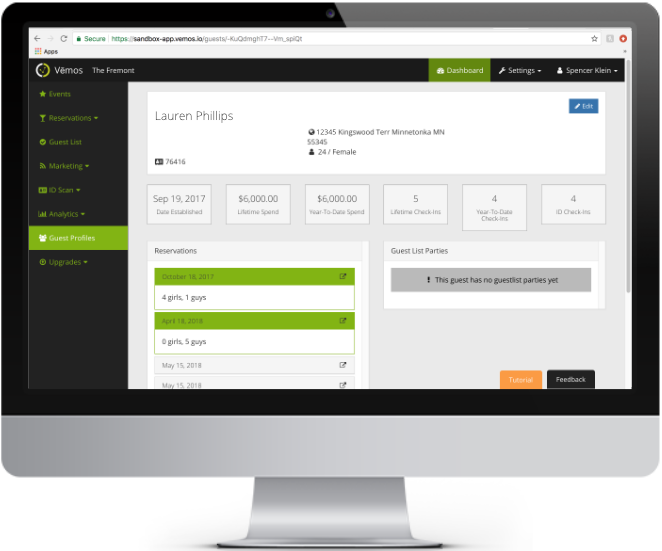 Benefits Understand who your customers are, treat every guest on a personal level, and use your guest information to improve marketing efforts for 100% targeted campaigns. 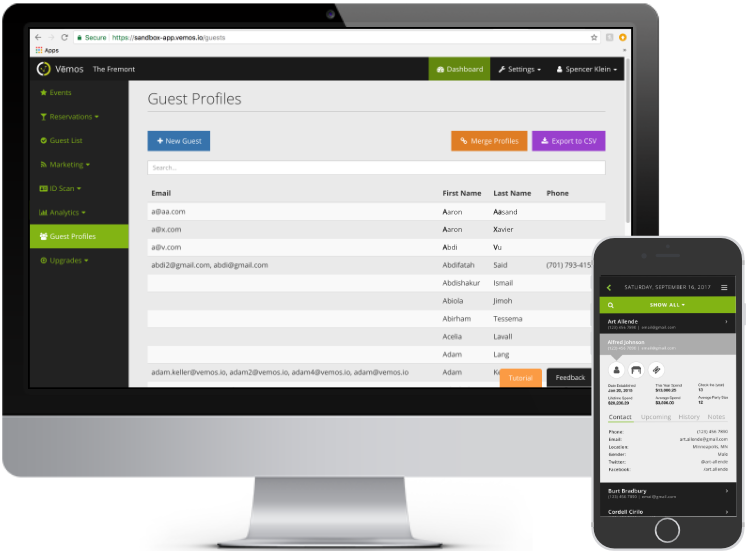 Insights How did your guest find out about you? What type of entry do they typically choose/ How many people do they come with? What nights or concerts drive them in? What do they order once inside? How long have they been coming to your venue? Which days do they typically come?